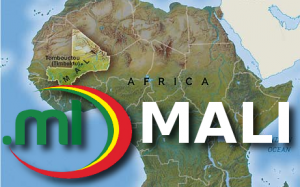 The registry for .ML (Mali) has started the launch of .ML TLD which will ultimately be unrestricted and available to all registrants regardless of nationality or location. Before the live launch, there will however be a Sunrise application period for trademark holders. The Sunrise starts today, and ends 31st of May 2013, after which registration is real time. Reserved for trademark owners. See list of eligible trademark registries below. Normal .ML on a first-come, first-served basis. Applications during the Sunrise period for Mali will not be allocated on a first-come, first-served basis. Rather, they are accumulated during the entire Sunrise period whereafter they will undergo a verification process. Verified applications will lead to registration, provided that there are no other applicants for the same name. Should there be multiple applicants, the domain will be subject to an auction process. Please note that short letter domains (one, two or three letter domains), Fortune 500 names and certain common/generic dictionary words have been provisionally “reserved” by the registry. Applications for these name types will most likely incur a higher price per domain name per year. Registration of .ML domains via our website system is currently unavailable. Contact us to register .ML domain name at relations@web-solutions.eu.